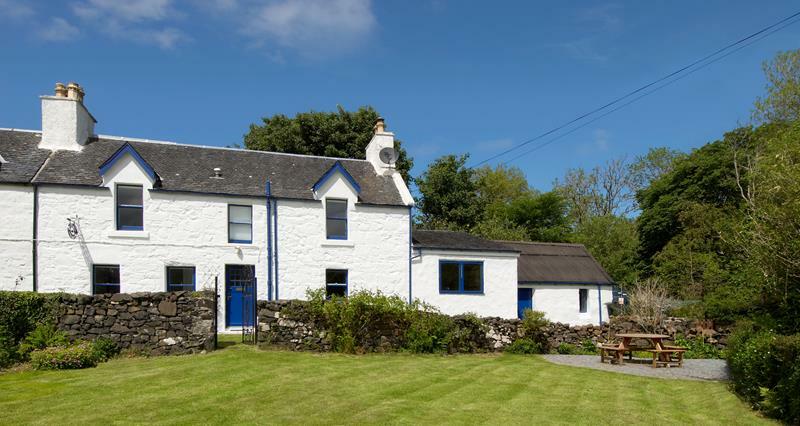 Ivybank Cottage, Dervaig - The Isle of Mull Ivybank Cottage, Dervaig, Isle of Mull, Argyll. PA75 6QJ. Ivybank Cottage, sits at the heart of Dervaig, a quaint picture postcard village with a well stocked village shop, post office and hotel/inn. 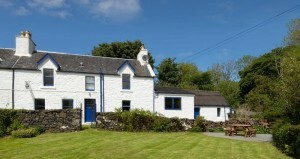 Ivybank sleeps 6 (1 double and 2 twin rooms) in well equipped surroundings. Ideal for families, with secure garden, outside dining facilities, TV/DVD player, WiFi etc..
With beaches, trails and the coast in easy reach it is an ideal base from which to explore the island, and also enjoy all the comforts of home.